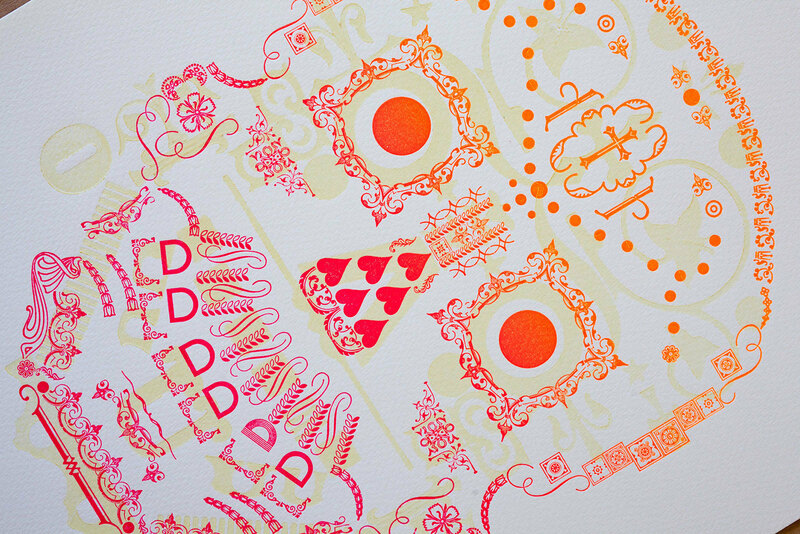 This illustrative piece is made completely from type ornaments. The aesthetic is based on the stylings of the Mexican ‘Day of the Dead’ and is built in two distinct layers. The first layer is made with wood type ornaments taking inspiration from Aztec motifs. Printed directly over the first layer, the second layer is built with metal type ornaments taking influence from contemporary decoration found on ‘Dia de los Muertos’ masks. 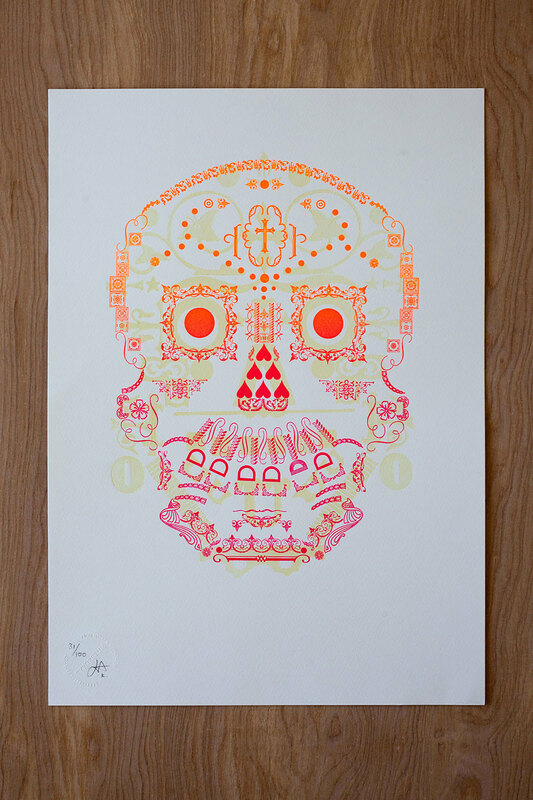 The skull is vibrant during the day due to the flouro inks and shines at night due to a hand made glow in the dark ink. Designed by Jamie Murphy, Robert Pratley and Justin Knopp. Printed on an 1861 Hopkinson & Cope Albion hand press and a 1960’s Farley Proofing Press at Typoretum, October 2012.